In today’s era of digital innovation, the role of the contact center is changing. Customers expect faster and more personalized service than ever before – and they expect to engage on the channel of their choice. However as contact centers look to transform their operations to more modern day engagement approaches, many struggle on how to do so without compromising a seamless and cohesive customer experience. Cloud is helping contact centers navigate this digital transformation shift with cutting-edge and cost-effective innovation. 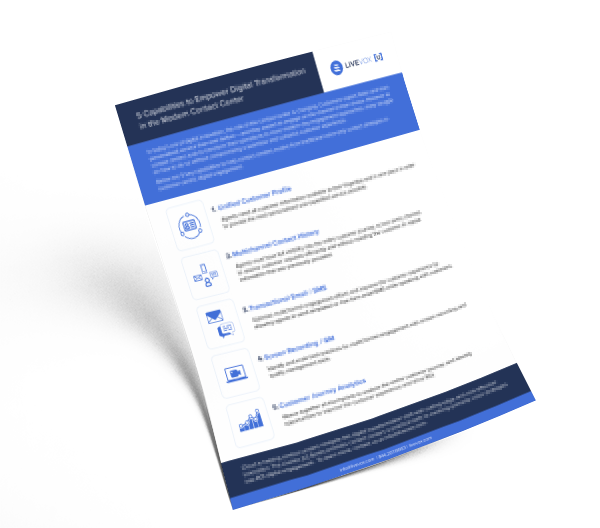 Learn how the LiveVox [U] Series provides contact centers a practical path to evolve primarily voice strategies into ROI digital engagement.